Sept 7, 2016 - When former teacher Anne Afelskie was dying at home from colon cancer, she was surrounded by family. She was also supported by trained volunteers from Madawaska Valley Hospice Palliative Care, who visited her at her Golden Lake home almost every day for four hours at a time. The volunteers helped Anne brush her teeth. They prepared meals, washed dishes and told jokes. Nurses contracted by the Champlain Community Care Access Centre (CCAC) gave her medication for pain while CCAC-contracted personal support workers provided additional care. This is exactly what Anne had hoped for; she didn’t want to die in a hospital bed. Her husband Michael Afelskie (pictured), a 73-year-old farmer and former accountant, appreciated the intensive in-home assistance. Lisa Hubers, Madawaska Valley Hospice Care Program Director, says community-based services at end-of-life can help individuals during an extraordinarily difficult time. 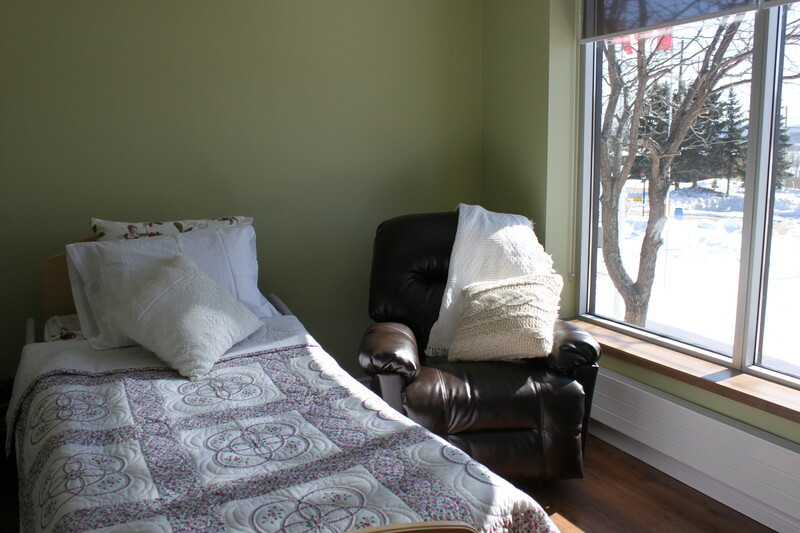 In addition to providing in-home services, Madawaska Valley Hospice Palliative Care also operates two residential hospice beds in Barry’s Bay for people who prefer that setting. The Champlain LHIN provides funding for these services in Madawaska Valley and other areas in the region, and supports overall planning and improvement efforts through the Champlain Hospice Palliative Care Program. From a provincial perspective, as announced in June 2016, Ontario is investing an additional $75 million over three years to provide patients with more options and access to community-based palliative and end-of-life care. As a first step, part of that investment is going toward hospices across the province, including $2.8 million in the Champlain region. This increased funding for existing hospice beds strengthens end-of-life support that relieves suffering, and improves quality of living and dying. "Hospices are special places that provide compassionate care to patients and families at a challenging time in their lives. They are a critical part of Ontario's plan to ensure access to high-quality hospice palliative care," says John Fraser, Parliamentary Assistant to the Minister of Health and Long-Term Care.